When I think about my coaching practice, a quote from a song winds through my mind; “Let me see beneath your beautiful, I want to see inside.” This is where my passion lies. Helping people see inside without shame. Often, we are tied down with going through the motions and getting through our daily needs. Our true potential at living fully and authentically cannot be found if we are stuck in the patterns of business and survival. 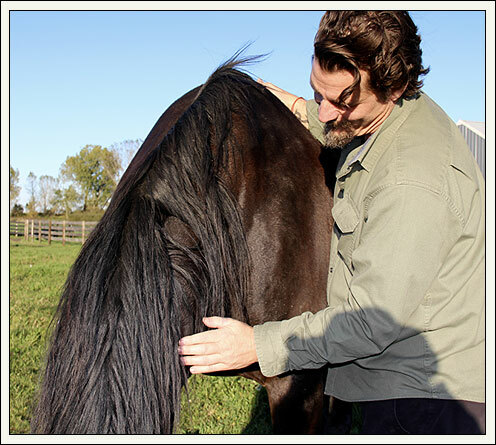 I combine the innate energy of horses with twenty-five years of experience as a social worker, counselor and equine gestalt coach practitioner to guide you to the inherent answers within. My place in this process is to open new possibilities and ask questions that create new perspectives, and the client’s job is to use their intuition and energy to feel their way to what is right for them. Through this process the client gains confidence in their direction and develops skills to continue to live life from a place of awareness where answers are available within their own consciousness. "she sat, waiting. no one came. he walked. cautiously. not to overwhelm. she stood. guarded. he walked a little closer. she didn't walk away. she checked the lock once more. she wasn't safe. she's never safe. he stayed. closer. she brought her hand to her head. he watched. he brought his face to her hand. it felt safe. she walked away. he followed. he put his face to her hand. the pressure kept her from raising it to her head again. she looked into his eyes, a foreign skill. he stayed. she walked away, he followed. her heart began to pound. it pulsated it's loneliness, he stayed. she froze, her mind wandering nowhere. it was the first time she had been hugged in weeks. it reminded her of her loneliness. her hand traveled to her head. his nose followed it. he pressed his face between her and and her face. you are safe. safe from yourself and safe from him. okay. I'll protect myself another way. he pressed his body against mine and reached his head towards his stomach. you deserve to eat, and you are safe." - a battle between safety and control. a girl who struggles with hitting her head and starving herself. a horse who stood in the way. One of the best ways to get started with coaching is by scheduling a fifteen minute introductory call. This is a time where you can experience my style and I can get to know you. During this process we can both figure out if we are a good fit. I recommend a package of at least four sessions but am open to customizing your experience. Sessions may include phone sessions, farm visits, onsite office visits or a combination of these. During the first farm visit I will get you acclimated to the property and introduce you to the horses and other farm critters. We may end up in a pasture with the herd or in the indoor arena with a horse or two. You do not need to have a background in horses to partake in this experience. Often times we will begin with work on the ground, moving into mounted work over time when appropriate. Your comfort level with the horses will always be taken into consideration and is part of the growth process. Relationships are complicated and can get muddled bringing us to a place of frustration and confusion. Sometimes we need to slow down and regroup to keep things on track. If you are feeling lost and alone, angry or stagnant in your relationship, taking the time to see your partner from a place of understanding can shift and change your perspective. Adding the horses into your couples session enhances the experience of finding balance and staying present in your heart. Being aware of ourselves is everything. As you begin to find clarity, feelings and answers are more easily accessed. Couples can work on a session to session basis or to stay overnight on site. If you choose to stay on site we will work for three hours in the morning both days and three hours in the afternoon each day, leaving lunch time and evening open for you and your partner to reconnect. Customization and flexibility always play a part in planning this two day experience. This is another great opportunity to blend the needs of your group with all that Soulful Prairies has to offer. Does your team struggle with communication issues? Do you need to find commonalities within the group to build bonds and cohesiveness? Would a new perspective between your customers and your team help bring inspiration and passion back into the group? Or could your team just use a little time to be pampered and appreciated? We can tailor a plan to your specific needs. 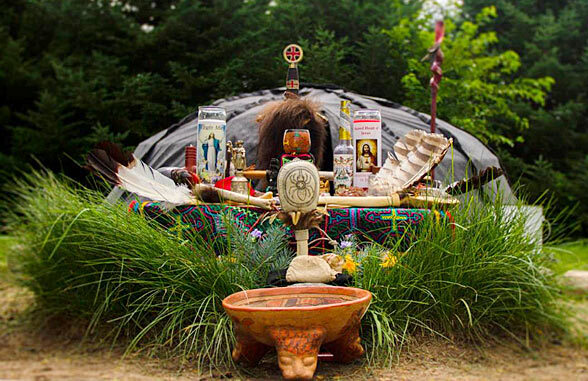 Soulful Prairies is a place to create and experiment. I have retreats throughout the year, which I host. I am also open to building customized retreats for small groups. These retreats can revolve around the equine work and be enhanced with other services such as yoga, massage, reflexology and gong treatments. A retreat can also be created with a particular goal in mind.